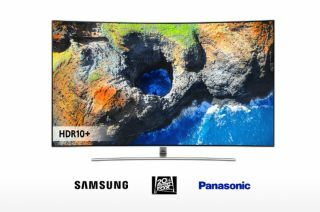 Samsung partners with Panasonic and 20th Century Fox for HDR10+ | What Hi-Fi? Just in case you were starting to think you had all the exciting new TV technologies straight in your head, Samsung has announced a new partnership with Panasonic and 20th Century Fox to create an open dynamic metadata platform. The three companies are forming a licensing entity which will begin licensing the HDR10+ platform early next year. The entity will license the metadata to TV manufacturers, digital TV box and Blu-ray disc player manufacturers, and content companies. It will be an open, royalty-free platform - and, naturally, licensing will include associated certification and logos. As you might imagine, each of the parties involved is extremely bullish about HDR10+ and its chances of prevailing in a market the majority of mainstream consumers have, at best, a limited grasp of. "We are committed to making the latest technology available in our TVs and are confident HDR10+ will... enhance the way you experience television programmes", said Samsung's Senior VP of Visual Display Business Jongsuk Chu. The three-way alliance will announce further details at IFA in Berlin later this week, and intend to demonstrate HDR10+ technology at CES2018 in Las Vegas next January. HDR TV - what is it? How can you get it? HDR10 v Dolby Vision - which is better?